The last Tuesday in November brings new books in beloved series, as well as a Conan O’Brien-blurbed romp through a fantastical Prague. 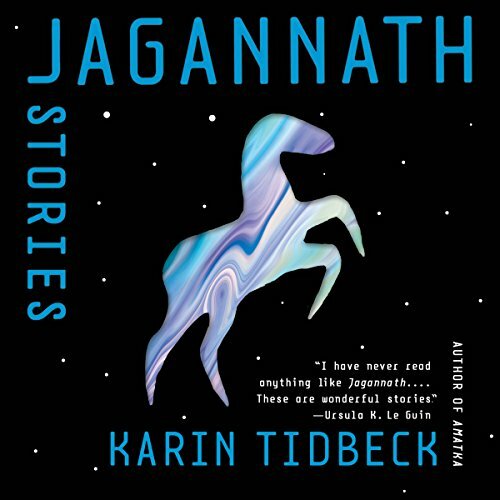 Still, it’s another sequel which most catches my eye, and another sequel (Hannu Rajaniemi’s The Fractal Prince) which I’m most disappointed to not see in audio this week. 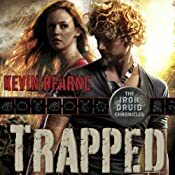 The second of those series continuations is Trapped: The Iron Druid Chronicles, Book 5 By Kevin Hearne, Narrated by Luke Daniels for Random House Audio — Series: Iron Druid Chronicles, Book 5 — Length: 9 hrs and 2 mins. “After twelve years of secret training, Atticus O’Sullivan is finally ready to bind his apprentice, Granuaile, to the earth and double the number of Druids in the world. But on the eve of the ritual, the world that thought he was dead abruptly discovers that he’s still alive, and they would much rather he return to the grave. Having no other choice, Atticus, his trusted Irish wolfhound, Oberon, and Granuaile travel to the base of Mount Olympus, where the Roman god Bacchus is anxious to take his sworn revenge—but he’ll have to get in line behind an ancient vampire, a band of dark elves, and an old god of mischief, who all seem to have KILL THE DRUID at the top of their to-do lists.” Narrator Daniels’ turn as Oberon — the wolfhound, not the fairy king — is a wonderful, smile-inducing pleasure. There are still some weird little “sweet spots” in the Whispersync for Voice area (hopefully you grabbed the two dozen or so professionally produced audiobooks of free classics when the feature launched), where if you buy the Kindle version, you get the audiobook more cheaply. For example, when checking out some books on Amazon’s list of top 10 sf/f of the year, I found the (er… Amazon-published, like The Mongoliad and the audiobook edition of Redshirts, so Amazon has 3 of its own properties on its list, but whatever, I am digressing…) Seed by Ania Ahlborn. 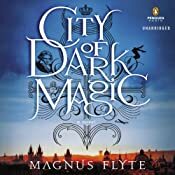 It’s $9.79 member priced at Audible, but if you buy the $2.99 Kindle version, you can get the audiobook for $1.99, so a total of $4.98. First, buy the Kindle version (http://www.amazon.com/Seed-ebook/dp/B0073XV3K8/) and then, go back to the Kindle page and there should appear a “buy at Audible for $1.99” option link, which automatically adds the audiobook (http://www.audible.com/pd?asin=B008H36SSU) to your cart, for $1.99. Just be careful and not waste a credit on it, which is by default what would happen. Uncheck and apply! Friends don’t let friends use credits on $1.99 titles. 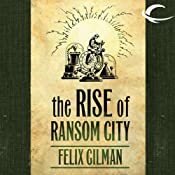 This entry was posted in regular, Release Week and tagged city of dark magic, cold days, dresden files, felix gilman, iron druid chronicles, james marsters, jim butcher, kevin hearne, luke daniels, magnus flyte, release week, the rise of ransom city. Bookmark the permalink.